D23 has announced its 2018 Gold Member Gift: Mickey Mouse. 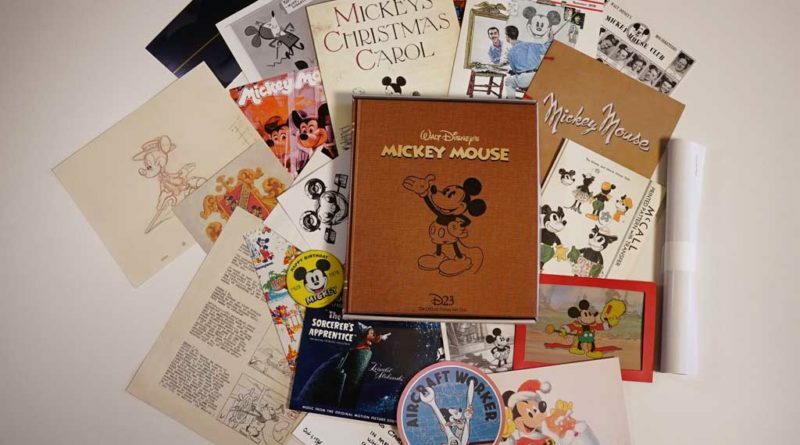 In honor of Mickey’s upcoming 90th birthday, on November 18, 2018, the D23 Team worked with the Walt Disney Archives to curate this collectible box set of 23 items. This fascinating collection, available exclusively to D23 Gold and Gold Family Members who join in or renew for 2018, chronicles the career of everyone’s favorite mouse, from Steamboat Willie to Shanghai Disneyland. 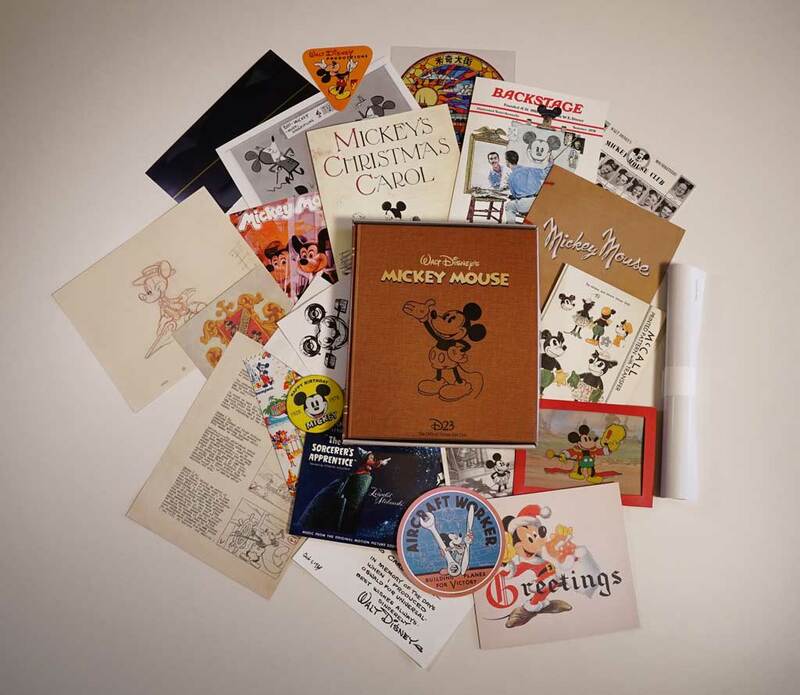 The gift contains 23 reproduced archival treasures that follow Mickey as he transitions from black and white to radiant color, including a miniature animation cel representing Mickey’s first color appearance; a Sorcerer’s Apprentice record cover; a 1978 “Happy Birthday, Mickey” button; a Disney Channel launch party napkin featuring a familiar Mickey-shaped satellite; and a colorful souvenir gift bag from the early days of Tokyo Disneyland. 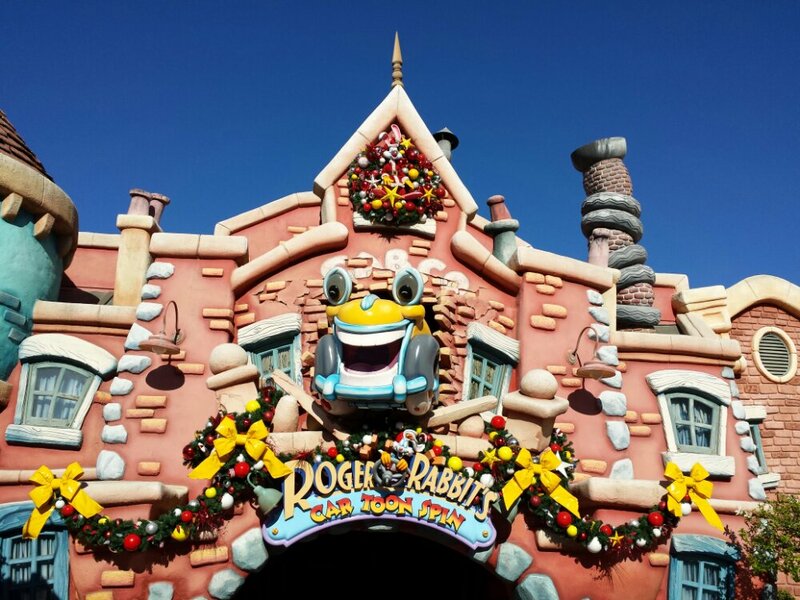 Through it all, Mickey mirrors Walt Disney’s own optimistic spirit and proves himself to be that rare celebrity who is, and always will be, both a global icon and a personal friend to all.